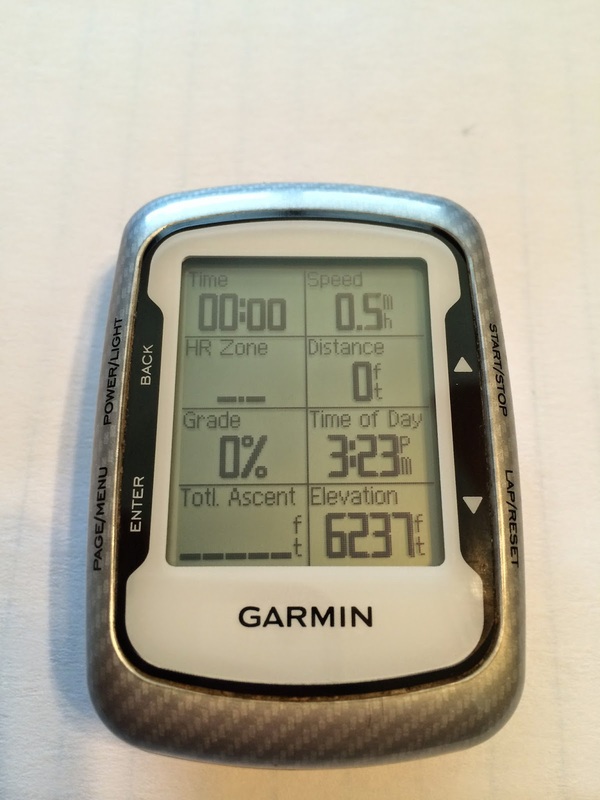 If you are like me, you use your Garmin device on almost every ride. 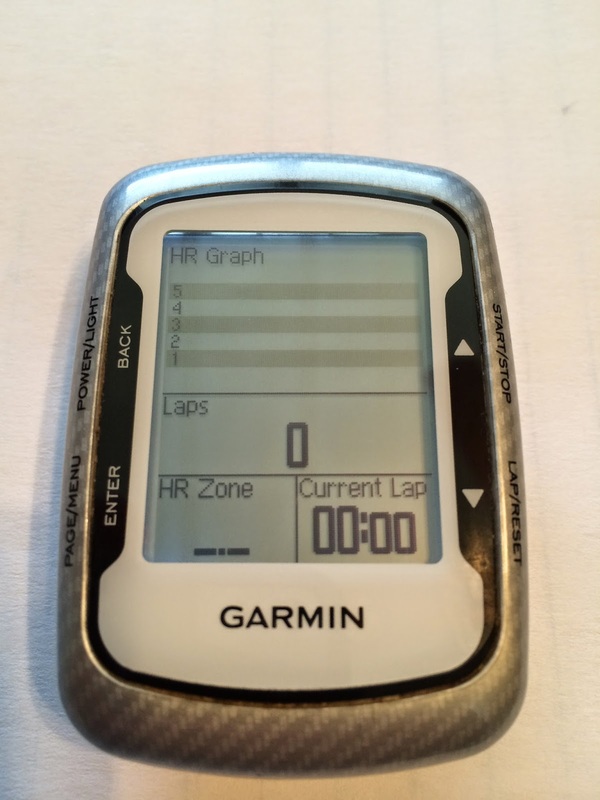 With the ability connect a heart rate monitor and power meter a Garmin is a great tool for the serious athlete. Out of the box I don't find the default screens all that useful. 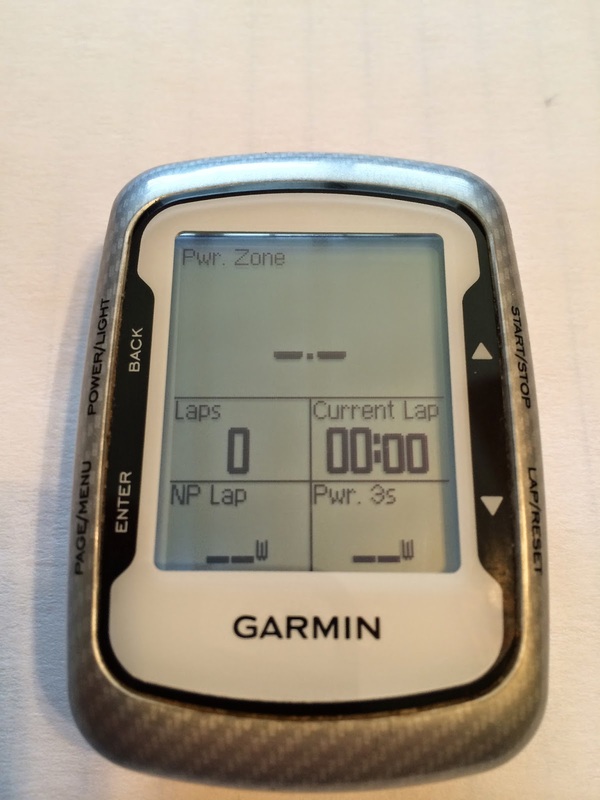 Over the years I have tweaked my Garmin screens to show the most useful information at the right time whether I am riding for fun, racing, or training. Screen 1: Riding For Fun Screen. Screen 2: General Training Screen: Laps, HR, Power, Cadence, Grade. Screen 3: All Things Power. 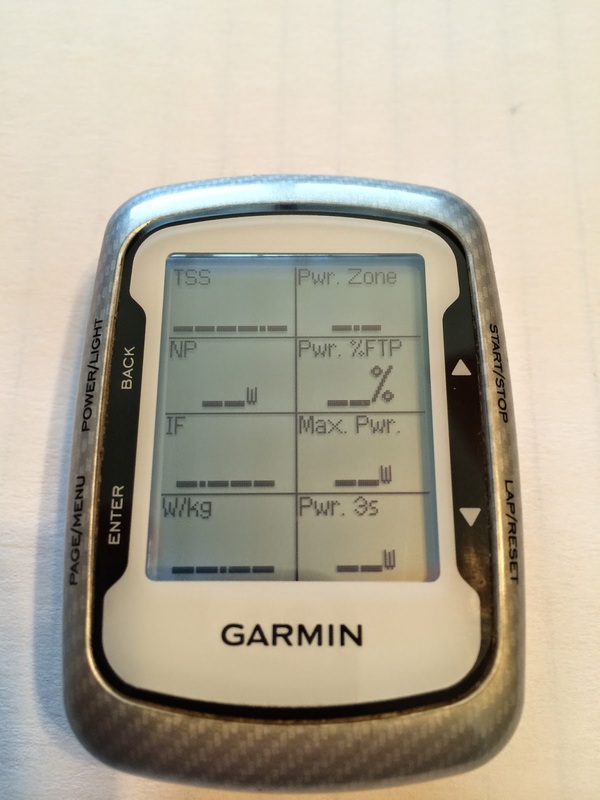 Great for non-interval rides with targeted power. Screen 4: Intervals With Power. Power zone front and center. Screen 5: Intervals with HR. I use this screen during races. 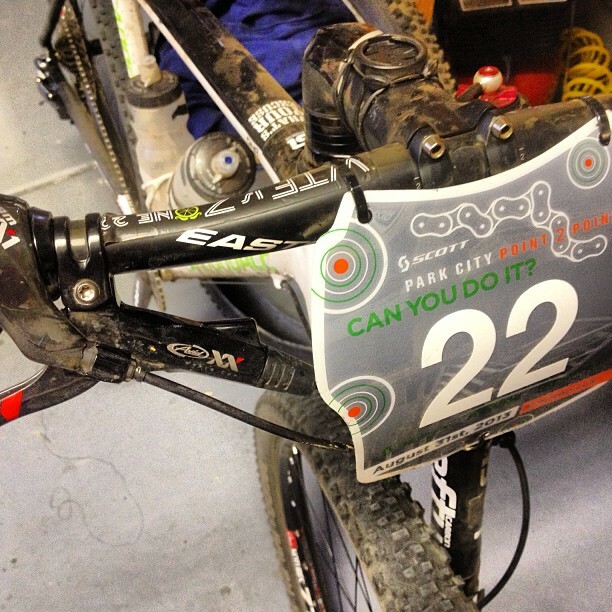 If you've read at least one of my race reports you'll know I use Ergon grips, and saddle on all of my bikes. I have had other sponsors support me over the past few years racing and to them I am especially grateful as well. 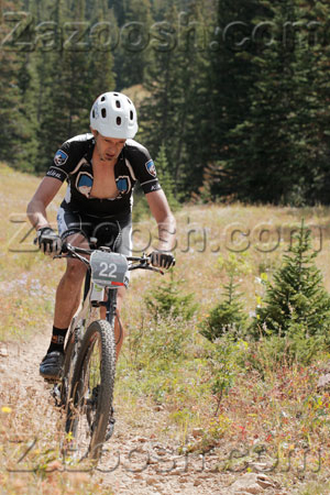 Rewind back to August 2009, my first MTB race (at the ripe young age of 35). I returned home from the race and immediately started looking online for results and race coverage. I was new to Twitter so I tried a search for "winter park" and found this @jeffkerkove guy talking about the race. I found his blog from one of the links in his feed and read a few posts. He seemed to know a thing or two about racing and I had a bunch of questions. I found an email address and sent off a quick note with a question or two and walked away from the computer for 5 min. When I returned Jeff had replied to me with a good paragraph response. I was a little set back. In my past experience, noobs usually don't get the time of day from people that are in the know. A few days later I though I'd try my luck a second time with another question or two. The result was the same, 1-2 paragraphs answering my question. This trend went on for a few months. Some would say this is just good marketing to potential customers. Perhaps it is, but if that is what good marketing is, I want good marketing. Eventually I asked about how to keep my wrists from hurting on the long rides, and you can guess what the response was. Soon I was on a set of Ergon grips and that was that. Fast forward to 2010, my first race season on a team. That year I did the Battle of the Bear and met Yuki Ikeda after the race. He was as friendly as Jeff and we talked for a bit about racing, his bike set up, and training. I was starting to think these Ergon guys were ok. The next race that year was The Bailey Hundo. 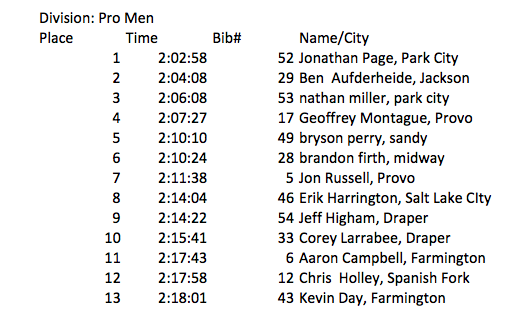 The men's lineup included JHK, Dave Weins, and Bryan Alders (taking 1,2,3 respectively). The women's lineup included Sonya Looney. Both Dave and Sonya are on the Ergon team of course. The race was a painful experience and I was back and forth with Sonya on the course, we talked a bit while simultaneously trying to get ahead of each other. After the race Sonya walked up and congratulated me on the race. A few minutes later Dave Wiens walked up to the group I was sitting in, sat himself down, and started asking us about our races. This was beyond cool in my book. Sonya took the photo of us. So why do I use Ergon products? I have also found that they are very well designed and make my training, racing, and riding life much more enjoyable. Thank you again for your support in 2014! 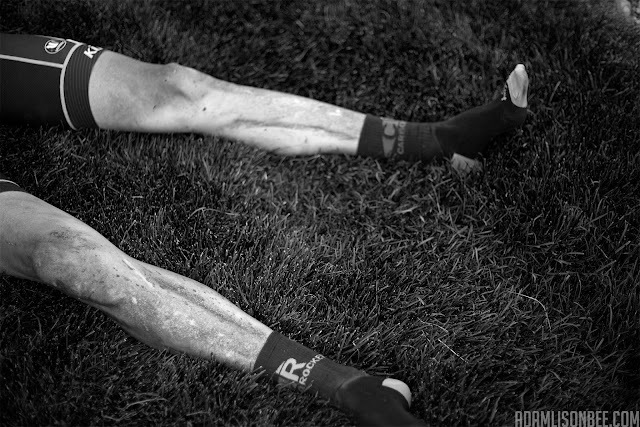 75 miles of wonderful singletrack later I crossed the line in 16th place Pro-Open ... and didn't get up for a long time. 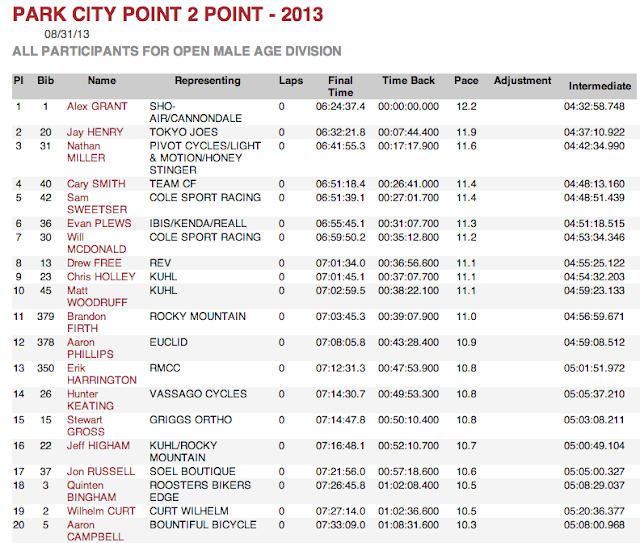 2013 was my 3rd year racing the Park City Point 2 Point and I don't see that trend stopping anytime soon. I know there are other great races out there but in terms of something I can race the same day and sleep in my bed that night, Park City takes the cake. For anyone who hasn't raced this event you are really missing out on some quality racing or at minimum, a great day of trail riding. There was very little drama during the race this year. I showed up relaxed and rode with a bunch of great guys all day. I had my good friend Joe Jackson at the aid stations handing bottles and food to me which was a huge help (thanks Joe!). I think my longest transition was 30 seconds. I raced Pro-Open and started off with guys riding at or faster than my pace. This was, without a doubt, the biggest factor to a good result for me this go around. Starting with a really fast group allowed me to race the whole course as fast as I wanted without any bottlenecks. The racers I encountered were quick to move over for a pass and I returned the favor many times. 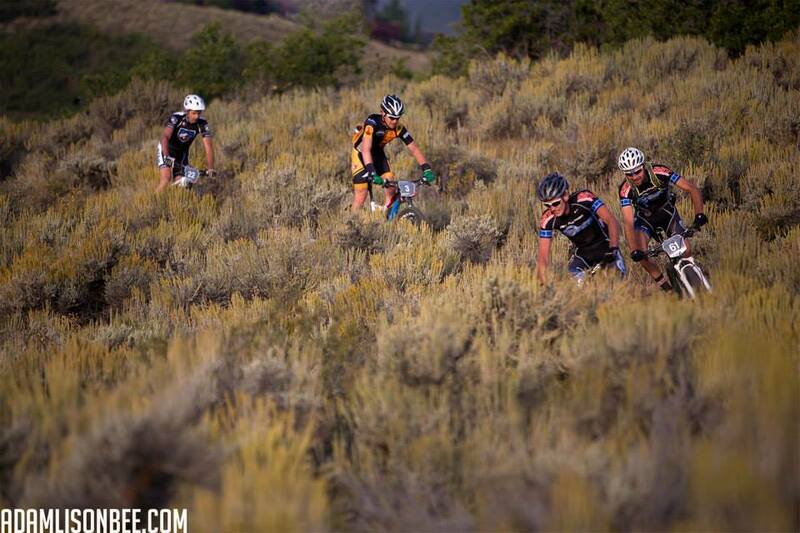 Speaking of the people, It was reaffirmed to me this year how cool the MTB race scene is. 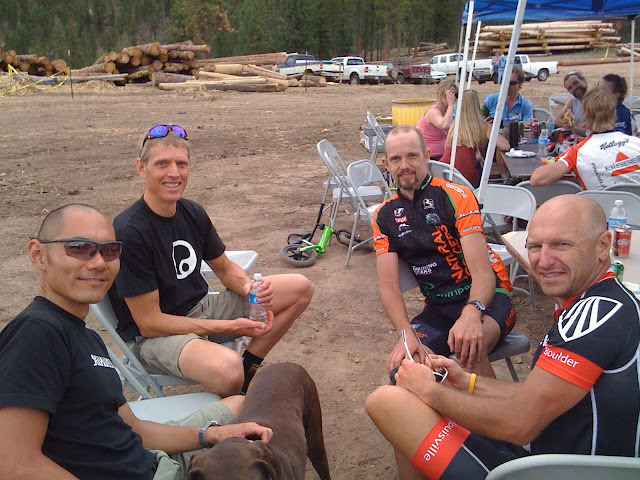 My friend Curt Wilhelm (www.mtbcoach.com) came out for the race so it was fun to meet up and race with him again. I met a few new people on the race route as well. It's odd to think you can cary on a conversation with someone while racing but it is possible at least for a little bit. I had lots of KUHL teammates out on course with me and they hammered it. One thing is for sure, I need to ride the Park City -> The Canyons leg sometime before next year. I always forget how long that section is. I thought I was closer to the finish than I was this time and fell off my nutrition plan, I bonked with an hour to go and never recovered. As a result, I and had to watch two guys ride away from me. Thanks to everyone who worked to put this event on and for all of my supporters this year. See you next year P2P! Circling back through the starting line after a hot lap in Round Valley. 2012 Flash 29. The fastest bike I've ever owned. 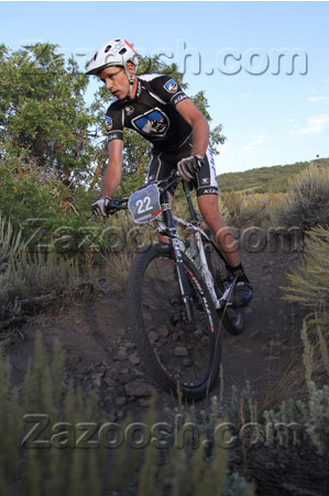 Once again I found myself in Beaver, Utah this July for my 2nd go at the Crusher In The Tushar. Last year's race didn't go quite like I wanted, loosing bottles and energy so I this year I was up for a little redemption, but mostly I wanted to get back to that scenery and high-elevation riding the Tushar mountains offer. As expected Burke Swindlehurst put on another great event with a star-studded lineup. I'll let you read up on the race on the official website but in summary: The format is a mixture of road and dirt road (no singletrack). The hardest part about the race is deciding what bike to ride although this year, most of the top contenders opted for a CX bike. Given my CX bike weighs 3-4lbs more than my mountain bike, I opted for my Flash with CX tires. If you have a light CX bike, that's probably the way to go. I have been riding pretty well this year so I threw my entry in with the Pro / Open men with little to no expectations given the lineup. After introductions, we rolled out of town just after 8am. We rode at an uncomfortably easy pace up the pavement. It was much slower that I was expecting, looking at my Garmin, I was sitting in HR zone 2. I felt like I wanted to ride a little faster to make better time on the day but I wasn't about to ride off the front in this group, not a chance. I sat in mid-pack waiting for the fireworks to start. There was a short breakaway and a little tire rubbing in the pack but nothing came of either. We made the turnoff and faced the first real climb of the day, I turned to the guy I had been riding with most of the way and said something like "this is where things are going to blow wide open", and sure enough, within 60 second the group ignited leaving the back of the peloton scrambling. 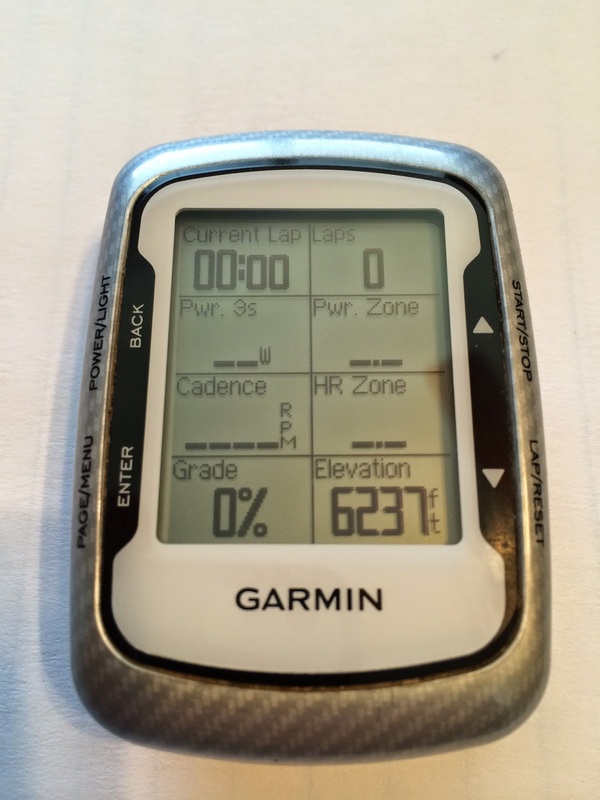 I looked down at my Garmin once again and saw 4.2 in the HR zone field. My plan was to obey the Garmin at all costs for the climb over the top, and 4.2 was too high. I dialed back bouncing between the high 3's and 4.0, a pace I had been riding in a lot during training following my LW Coaching training plan. Last year, I didn't pace as well and ended up paying for it on the last 1/2 of the race, so goal #1 was to pace well this time around. As I neared the crest of the first climb, 1 hour 42 min into the race, my rear tire started to loose air, I stopped and hit it with a good blast of air (running tubeless) and rode off again, On the descent into the valley, it wen't flat again, I repeated. The 3rd time 3/4 of the way down I opted for a tube and wen't into full-on NASCAR pitstop mode. I was still in good spirits after putting things back together. I pulled out 1/2 of a caffeine pill, washed it down, and got on my way with plenty of downhill to get my speed back up. I soon made it up to that guy with the unmistakable dreadlocks, Garth Prosser, and we formed a draft line of two. We quickly picked up another CX rider with taller gears than I had and sat in behind him, soon after that we picked up Corey Larrabee, one of my teammates, making 4 people for a good pace-line into Circleville. We rotated pulls through town picking up one more guy on the way back to the climb into the mountains. On the flat section of pavement I hit a chunk of metal and lost air for the 4th time in my rear tire. I wished everyone luck and pulled over for another pitstop. Fortunately, I had packed along 3 tubes and 2 Big Air canisters so I was in good shape, except for time. I couldn't stop the clock, and it kept ticking away. People rode by that knew me, they asked if I was ok, heckled, and rode on. I fumbled with my wheel longer that I wanted to and finally got it back together. Then the Caffeine pill kicked in. I got the idea of using those little pills from hearing Drew Edsall talk about them. I knew from the past that I race better with a little caffeine but it always required taking in a gel or sports drink, (CarboRocket 333 for example). This made it hard to balance calories, hydration, and caffeine as the needs were not always consistent for each. Needless to say, I started to feel like superman and just in time too as I had a monster to climb back up to the 10,000 ft range and needed to try and salvage some time on my race. I worked my way back into a group of people which turned into me pulling the group and riding off the front as we started the climb back up. Caffeine is a great thing. I checked my Garmin again and it read 3.1. Unlike the first climb of the day, my goal was to keep from falling off the bottom of zone 3 rather than shooting off the top so 3.5 was my goal and it was a challenge to keep my HR there. The climb back into the Tushars reaffirmed I made the right gearing decision. I chose to run a SRAM XX1 setup with a 36T in the front and the standard 10-42 in the rear. This was a good fit for the climb back up. I spun a steady pace and seemed to consistently pull in riders up the climb. We were all feeling the steep grades. As I rounded the last switchback with the top in view, I saw my friend Adam Lisonbee who was having a great day on the bike and had heckled passed me on the road in the valley while I was off the side dealing with my flat tire. In an effort to crush his spirits motivate him further, I stood up and put myself into leg screaming anaerobic mode to catch him just before the KOM summit. "Common Grizz! Is that all you've got!?!?!" Judging from his podium spot, he had a little more after that as well. We soon separated and I resumed my quest to minimize the number of time clicks before I cross the line which was another 10-miles away. Eventually I made it to this sign. The night before the race I rode from my condo up the last 1-mile stretch and snapped this photo. For everyone finishing the race, this would mark the longest mile of their life. It was all up hill and gradually increased to a 12% grade before the end. I emptied what was left in my tank up the road and crossed the line in 30th place at 5 hours 26 minutes. Having lost 15-20 min to flat tires I was really happy with my time. 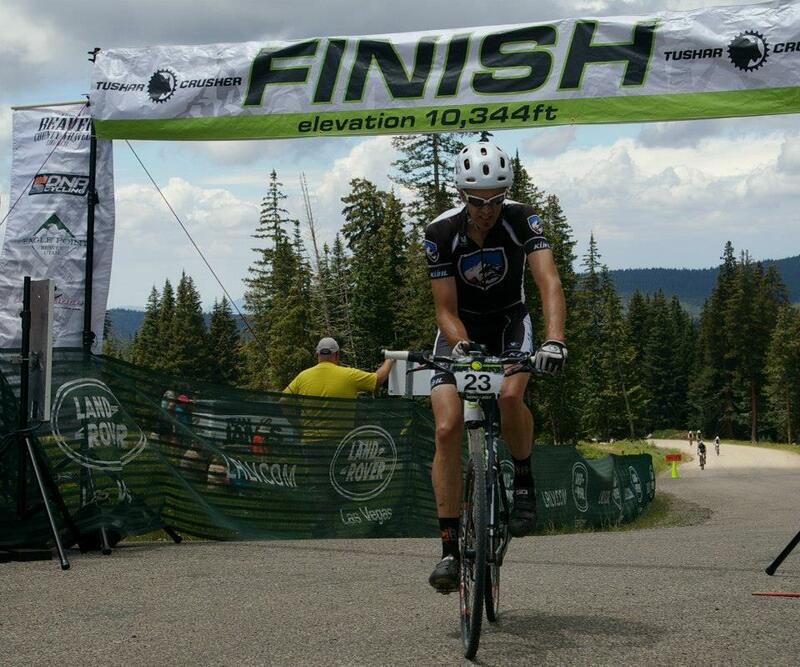 I rode much better than last year and had some in the tank at the end of the race. Goals accomplished. See you next year Crusher, 3rd time will be the charm. Race - Elevation profile, speed, and heart rate from my super secret software. I lined up with the big boys this week for the USCS Round Valley XC in Park City, Utah. Last year I raced single-speed taking 2nd place behind Corey Larrabee. Since I didn't have a 1x1 ready to ride this year I went ahead and signed up with gears in Pro / Open. After taking a detour over Guardsman's Pass to avoid I-80 traffic on the drive up, I pulled into the parking lot 10 minutes before the race start. In a frantic dash, I signed my waiver and bolted to the lineup just in time to hear Bob Saffell, the race director, yell "30 seconds... 20 seconds...". With my gloves still stuffed under my bibs mid-thigh I spun the last few twists on my race number fasteners, started my Garmin, and then "Go!". The race played out as most XC races do. We started too fast, the fast guys dropped everyone, I counted how many places I was back "one, two, three, four, five, six, seven... was that everyone?". 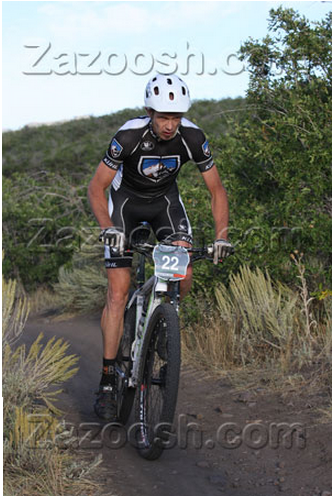 That put me around mid-pack into the singletrack on the first lap. During the rest of the race a few guys got around me, I got by a few guys, and by lap 3 the placing was pretty much settled. 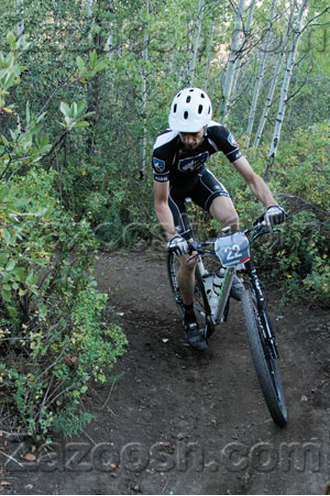 We rode 3 laps of singletrack and then a bonus 1/2 lap before we hit the finish line in just over 2 hours. When it was over I rolled across the line in 9th place, which is better than what I was expecting. I may just have to do a few more of these shorties. 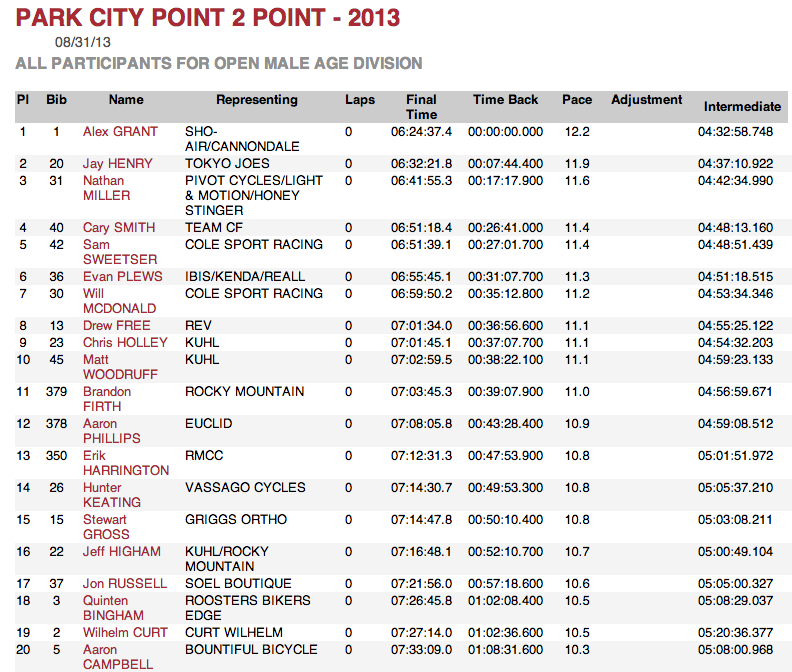 Race Report: 2012 Park City Point 2 Point - cheaters never win! SLC with a UT (U of TX @ Austin) OG (with one from the 303, whose brah was OC now living in big D), and White Rim. 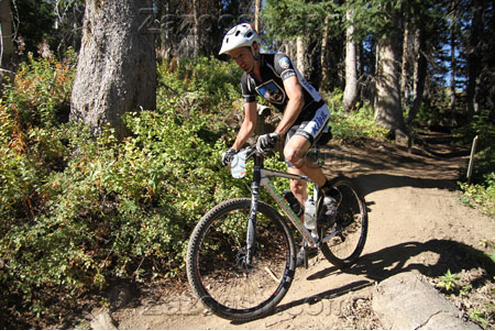 Team Topeak-Ergon signs Jeremiah Bishop. © 2010 Jeff Higham. Powered by Blogger.